Understanding the strengths and weaknesses of your competition can have a major impact on the profitability of your organization’s plastic processing operations. If, for example, a customer is telling you that they have a lower priced offer from one of your competitors it is important to objectively determine whether such a competitor truly has the ability to price at such levels for the long-term. If the competitor is a high cost producer in your segment of the plastics processing market then it will simply not be possible for them to price for any extended period of time below their marginal cost of production—no matter what they promise the customer. Alternately, just because a competitor is offering what your organization considers to be unreasonably low or even “impossibly low” pricing it does not necessarily mean that their pricing is truly “impossible” and good plastics market competitive intelligence could help you to understand how your competitor may be able to offer such prices. The Shale Gas Revolution has dramatically improved the cost position for North America compared to the rest of the world for a number of plastic resins. New resin production plants have opened or are being planned and Mathelin Bay has seen increasing interest from companies outside North America looking to set-up plastics processing operations, particularly in the United States, for the first time. 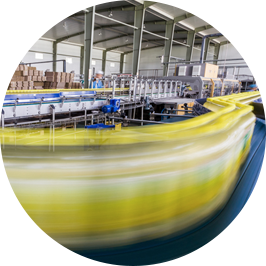 While the actual processing of various plastics is quite similar from country to country, the competitors, supply chain channels and customer demands are often quite different in North America than they are in other parts of the world. Plastics processors based in Europe, for example, that are used to competing against a few trans-European competitors and a larger number of smaller competitors specializing in a particular country market such as France or Italy are sometimes surprised by the very large size and sophistication of many competitors in some North American segments. Supply chain channels can also be very different in North America where, for example, some plastics processing markets are dominated by industrial distributors that squeeze much of the profit margin and value-added out of markets that are often in other countries served directly and can be on average more profitable than similar markets in North America. Without in-depth market knowledge much time and considerable expense can be wasted searching for potential North American plant locations and possible incentives for direct foreign investment before first answering the more fundamental question of whether the assumptions you have about the market are in-line with the actual market situation. If your organization has specialized in processing one or several plastics raw materials or one particular plastics processing technology and is considering expanding into new or adjacent areas then Mathelin Bay’s plastic market research consulting solutions can help you to assess risks and opportunities associated with the areas you are considering entering. Also see technical plastics consulting solutions. Competitive intelligence can be even more important for a plastics market segment that your organization is considering entering for the first time than it is for a segment that you are currently operating in. All or some of the competitors may be new to you, supply chains and channels to market may be different, customer preferences such as recycling expectations, as well as regulations and certifications may all be very different from what you are accustomed to. Even what appear to be simple markets often already have sophisticated plastics processors in place that may be providing “Solutions” rather than just selling plastics products. With Mathelin Bay’s plastics market research consulting assistance you can be more confident that you better understand that, for example, selling a simple plastic part when your competitors are selling solutions or systems would require more caution and a larger investment than if you are considering selling a commodity plastics product into a new end-use market where customers have little interest in value-added solutions.